We shot an elf first in the studio and after that we made an outdoor set for my site. The studio photos will be used for CosplayErotica but the outdoor pictures are made for the Angela Blanche site. We decided this joint shooting, because the make-up was so difficult and took so much time, that we did not want to make it twice. I’m still trying to wash off the rests and make my hair ordinary again. It was a very long day, but the pictures are great, you will love it. This will be my first outdoor cosplay set with real background. 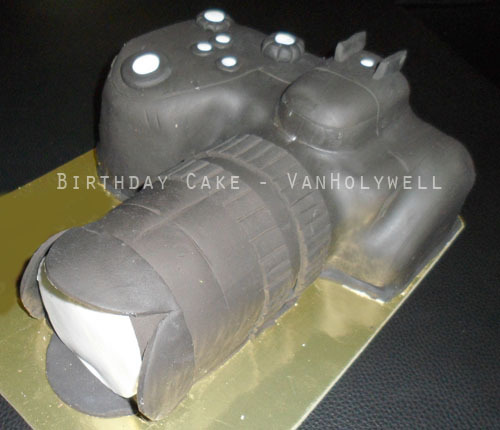 This huge marzipan camera was a birthday present for VanHolywell. We made it with a few more models working together with him on a regular basis and loving him. So we visited him on his birthday party with Mea, Marylin and a few more models and gave him this birthday cake. What is a mental attitude? Why is my fever not in mood? One of my favorite bands and my long-runner ring tone.